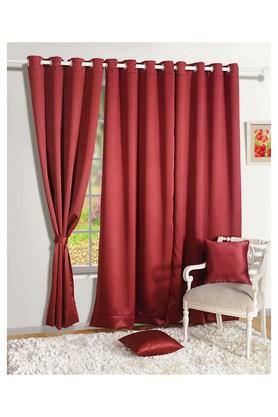 Modify the look of your room by installing this stylish long door curtain from the house of Swayam. Crafted from faux silk fabric, it has a good finish and is also easy to maintain. With a solid pattern, it will blend well with any interior setting. Size - 121 X 274 cms. Totally change the interior of your living room with this amazing long door curtain made with utmost care and preciousness.